Who’s ready to go swimming? The oh-so-cold temps of winter are finally behind us and the official start of summer is just around the corner. That means sun, fun and plenty of time on and in the water. Before you dive in, however, take a few minutes to think about keeping your eyes healthy. How? By being aware of the germs and chemicals you might encounter while you’re swimming. The average swimming pool is treated with chlorine to keep it as clean as possible. That’s good news—after all, nobody wants to swim in contaminated water. It might surprise you to know, though, that chlorine doesn’t make the water entirely water germ-free. In addition, chlorine can actually strip the protective tear coating from your cornea. If you swim a lot, you may find that you’re prone to some kinds of infections. One of the most common is or conjunctivitis. Conjunctivitis can be caused by either a virus or bacteria—and “chemical conjunctivitis” is pretty common. Symptoms include redness, swollen eyelids, blurred vision or leaky discharge from the eye. If your eyes feel dry after swimming, there’s good reason. Chlorine actually saps water from the cornea. Eyes get red, feel irritated and may be temporarily blurry. Generally, the cure for this type of irritation is time; it will usually go away shortly after you get out of the pool. This is especially true for kids, whose eyes naturally tend to recover quickly. It can take eyes longer to bounce back the older you get, but certain types of eye drops can help to build the tear layer faster. Steer clear of the ones that promise to “get the red out” and instead choose those which lubricate your eyes. Systane Preservative-Free and Refresh Plus are two brands you might be familiar with and that we recommend. If you wear contacts, you should always remove them before swimming in any kind of water. 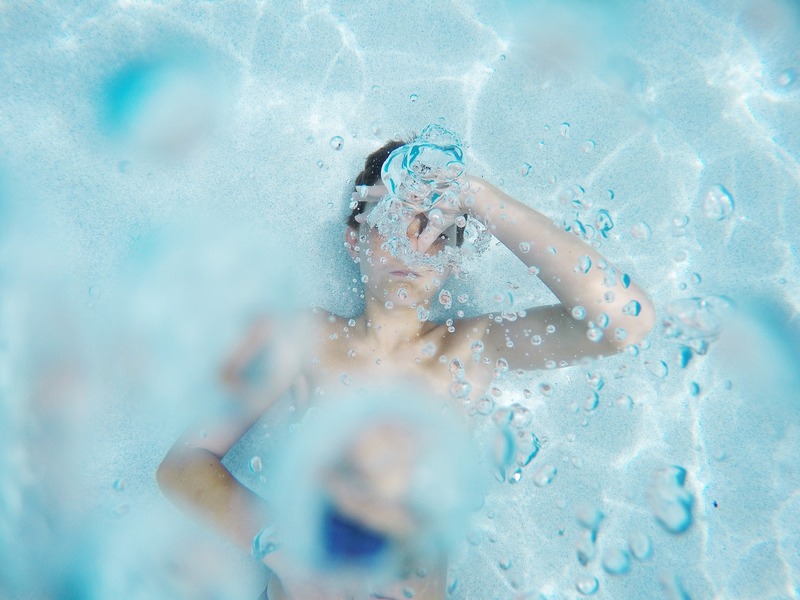 Contacts and swimming just don’t mix; in fact, contact lens wearers are especially susceptible to acanthamoebic keratitis. This eye infection most often occurs when a specific kind of water-borne amoeba gets trapped between your contact lens and your eye. If you develop this infection, it can ultimately impair vision or even cause corneal ulcers. So be safe, and take out your contacts before you ever enter the pool. Oh—and if you do take a dive with your contacts in, discard them. That’s why daily lenses are a great option, as you can simply toss the old pair and put in a new pair after your swimming pool adventures are at an end for the day. 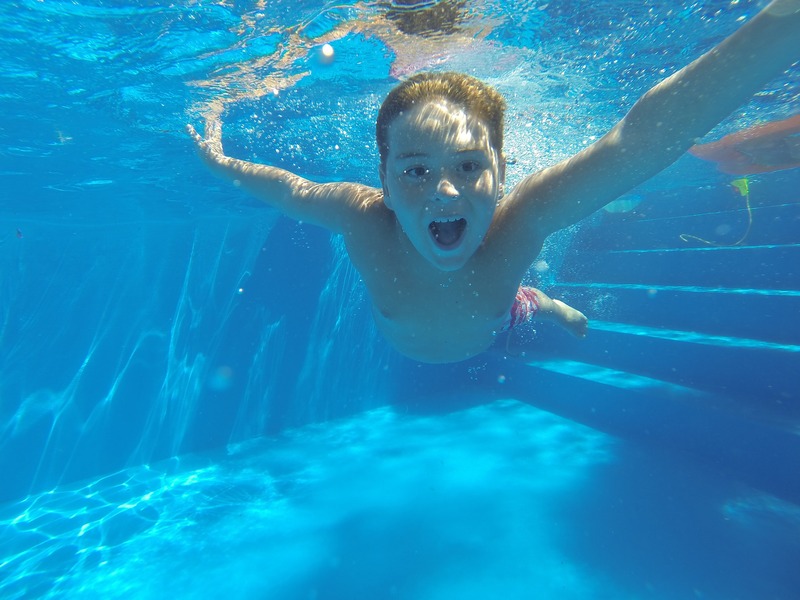 Questions about keeping your eyes safe in the pool this summer? 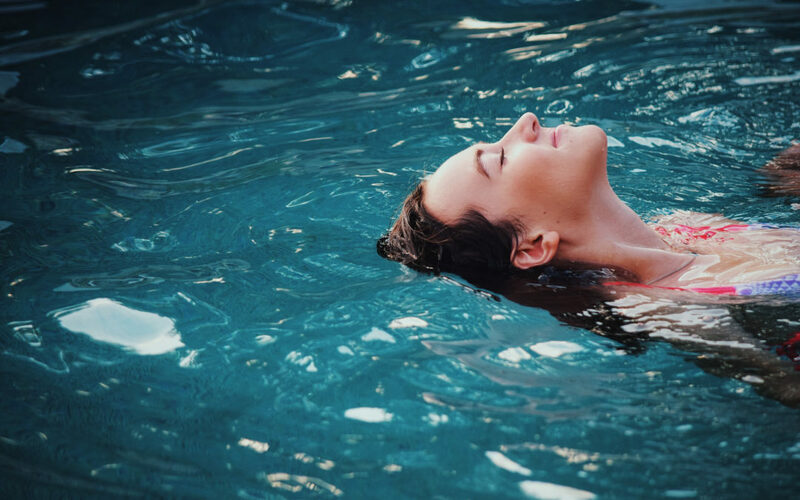 Want to make sure your eyes are as healthy as they can be going into the summer swim season? Schedule your appointment with us today.